Hello and happy Tuesday. It's time for another challenge at CASology. 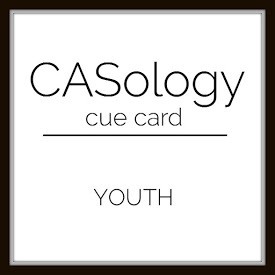 This week, our cue word is youth. I decided to pull out these adorable little mice from MFT--don't they make a cute children's marching band? This is going into my kid's birthday card stash. Now it's your turn. How does YOUTH inspire you? I hope you play along this week. Please remember to keep it Clean and Simple. We are sponsored this week by Kitty B. Designs. I love that you chose these marching band images for your take on the Cue Card! Beautiful coloring and I love how you added those pretty papers! Perfect for a kid's birthday card, Joyce! Oh golly they are so CUTE and perfect for a kid's birthday card!! Adorable! and such a beautiful card! Cute, cute, cute!! Love this bright, super happy card! Simply super cute, Joyce - I can hear the music!!!!! Joyce....this is just too darn cute. I love your sweet musician mice, and your coloring is so beautiful. Your cards makes me smile from ear to ear. Joyce, this birthday card is just perfect for a child! Precious, precious! Oh, this is SO CUTE, Joyce! It certainly IS the perfect card for a child! LOVE it, and that patterned paper hill is PERFECTION! They really are pretty darn cute and that subtle patterned paper is perfect for grounding them!